Where did the summer go? Here it is, the end of August. Soon it will be Labor Day. Labor Day brings us the last barbeque weekend and the kids are getting ready to go back to school. 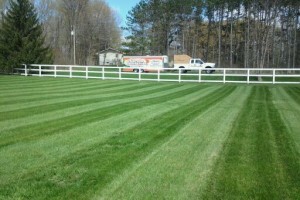 Is your lawn is looking as tired and heat exhausted as you feel? Fall is almost here, but that doesn’t mean you should slack off on your lawn care. It’s actually the most important time of the year for your lawn. In the fall, perhaps more than ever, it needs your attention. Maintaining a healthy lawn in the fall significantly contributes to better winter survival and a healthier lawn next spring. 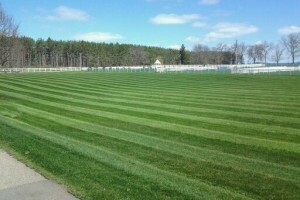 While we all agree it is sad to see summer go, our lawns feel differently. Temperatures towards the end of summer drop, which gives our lawn the perfect climate for growing conditions. Make the most out of the end of this summer and treat your lawn right. The days ARE getting cooler, the nights are getting longer, and another summer is almost history. But don’t store the mower and water sprinkler in the shed just yet. While your lawn is preparing now for a winter sleep, the care you give it before and during its dormancy will pay dividends when it reawakens in spring. One of the most common questions this time of year is, “How long into the fall should I continue to water my lawn? Even though temperatures might be cooler than in summer, your lawn still needs water. Since lawn grasses continue to grow throughout the fall, watering is still important to sustain growth. Go ahead and water as needed until the ground is cold and beginning to freeze. If you have an automatic irrigation system, avoid damage by having it blown out with compressed air before water freezes in the pipes and sprinkler heads. One of the best parts about late summer lawn care is cooler temperatures. Less heat means that the ground has a chance to cool off. Cooler lawn temperatures means that you can begin replanting grass or plants as necessary. Typically the perfect lawn temperature is between 50 and 65 degrees. Begin replanting as soon as possible. Seeding should be completed by mid-September. Cool temperatures usually make fall seeding or sodding successful. Be sure to complete your sodding before much colder temperatures sweep in. Grass cutting duties tend to slow down in the heat of summer, but as temperatures drop and rain falls again your lawn will still need some attention. At least during the month of September, mowing should continue on a regular basis maintaining a lawn height of about 2.5 to 3.0 inches. Heights can be gradually reduced back to about 2.0 to 2.5 inches by the time we get into late October. Apply a final dose of fertilizer in mid- to late October. You’ll provide your grass with nutrients that will be absorbed and stored until needed for spring growth. 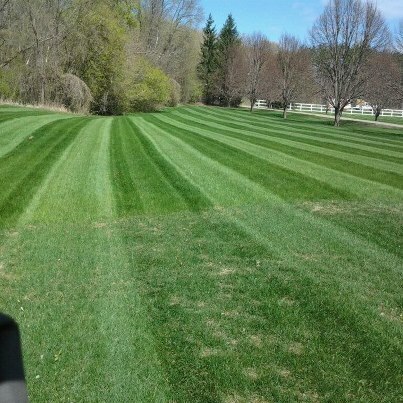 Lawns that have received late-season fertilizing are often the first to begin growing in the spring. “Winterizing” types of fertilizers containing high amounts of phosphorus are only necessary if a reliable soil test indicates a shortage of phosphorus. Otherwise, use a standard lawn fertilizer. If your lawn has significant compaction problems, the period right around Labor Day and through the early fall is an excellent time to do some core aerification. This is also a good time of year to consider installing a fence or repairing an existing fence. Contractors often experience a slowdown in August, before picking up again in September. A new fence can add privacy to your yard, enhance your property and provide an extra measure of security. Now sit back, enjoy your work, sipping an iced tea and knowing your lawn will be the best on the block!